We already know the thermal insulation and fireproof properties of Tecwool mortar but today we are going to tell you about an extra property. Tecwool mortar is also acoustic absorber. The sound absorption capacity of a material is the ratio of the energy absorbed by the material to the energy reflected by the same echo. It is a value that varies between 0 (all energy is reflected) and 1 (all energy is absorbed). 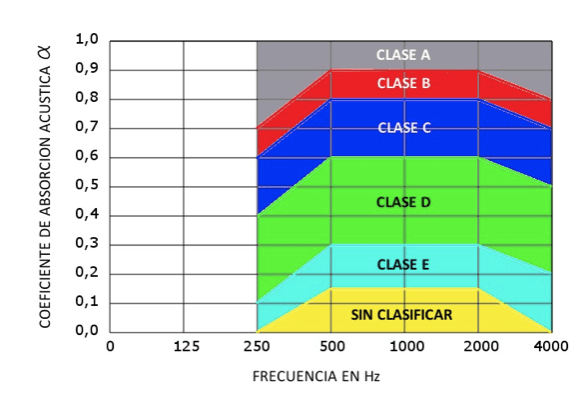 This value is defined by the acoustic absorption coefficient “a” and it is also variable as a function of the sound frequencies emitted in Hertz (Hz). The standard UNE EN 11654: “Acoustics. Acoustic absorbers for use in buildings. 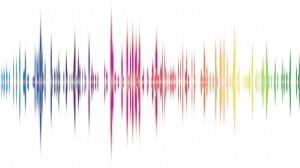 Evaluation of acoustic absorption “ divides it into 5 different classes of acoustic materials as a function of frequency and the coefficient a or aw (weighted acoustic absorption coefficient). In the following graphs for a thickness of 15 and 25 mm we can verify how the material Tecwool increases its acoustic absorption as it increases the frequency intensity reaching even the total absorption of the sound for frequencies above 2000 Hz and 1000 Hz respectively. The good behavior of this material is due mainly to the polymorphous structure and to the porosity of the rock wool present in its composition, which together with its application system by means of pneumatic projection (which allows a continuous isolation without acoustic bridges or detachments) Makes it an ideal material for airborne noise insulation applied to any surface. A recent practical example is its application in the underground of the train station of Sopelana in Urduliz (Vizcaya), in which 15 mm of Tecwool have been applied on the concrete at the entrance and exit of the tunnel giving a result of excellent acoustic absorption .